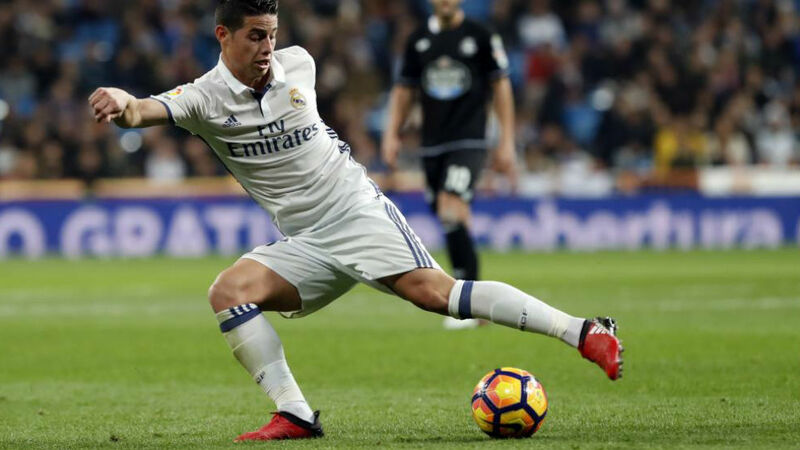 Several injuries to Real Madrid’s squad didn’t prevent a dominant start from Los Blancos against Sevilla in their Copa del Rey last-16 first leg, with James Rodriguez taking advantage of the rare start to add a brace to his name. Rather unusually, the Colombian played on the right, and after a quick loss in possession from Sevilla defender Gabriel Mercado, he accurately placed a curler of a left footed shot past Sergio Rico for the match’s opening goal. It wasn’t just the two goals however, as the 25-year-old was involved in plenty of Real’s attacks, as he continues to search for redemption.